This week’s update includes more batting order and pitching role info, a listing of the MLB Top 100 Rookies, updated projections and team assignments, and the ever evolving bid prices of Rotoman and Mike Fenger in 5×5, and Alex Patton in 4×4. Updates will continue through April 3. Subscribers can update at the secret download page. For more information about the software, spreadsheet and text files, visit software.askrotoman.com. There are a few different answers to this. The March 15 has updated projections and 4×4 and 5×5 prices. 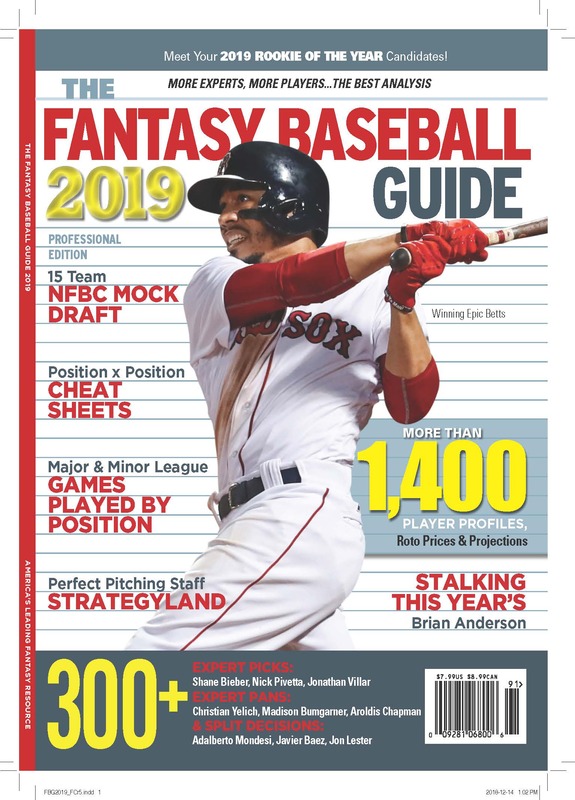 It will be posted on the top secret download page, which has as its password the first word of Rick Wilton’s injury update on Albert Pujols in this year’s Guide. The projections and prices will be updated next Friday, March 7th. And then on the 15th there will be another update and 4×4 prices added for readers. The only significant difference between the 5×5 and 4×4 prices are that relievers are significantly cheaper in 5×5, with the extra money spread across the ranks of top hitters and top starters. This doesn’t change prices very much, because the top hitters and pitchers in 5×5 earn less than they do in 4×4. The guys whose prices increase the most are the guys you don’t really want to spend more on, the scrubs who get at bats and innings pitched. Knowing this, it is easy to translate 5×5 prices into passable 4×4 bid prices. Alex Patton and I also sell a software data package that includes my projections (with more categories) and my 5×5 and Alex’s 4×4 prices. You can learn more about it at software.askrotoman.com. We’re adding a few more pieces of data, so I think this year for the first time my 4×4 prices will be included in next week’s update. The software is an excellent way to organize your draft lists, allows you to change the projections and have the prices change, and allows you to change the prices and have the projection change. There is a draft manager component, but I’ve never found draft software that made an auction more fun than having my lists printed out. Actually, in the XFL, the most fun auction each year, we don’t allow ourselves to bring lists. Free your mind, or something like that.